I had a wonderful Easter weekend where I took the time first to reflect on the true meaning of Easter and to give thanks and second to have some fun. Church, beach, ‘do nothing at all moments’ and Festival Del Mar were some of the highlights of this long Easter weekend. I certainly ate too many johnny cakes over this long weekend but they were all so yummy. Nash’s dad also brought us Easter bun and cheese which is a traditional Jamaican meal on Good Friday and up to this morning I had a piece of bun with my breakfast. In addition to this, between a picnic and Festival Del Mar, I have eaten my share of salt fish, jacks, lobster, whelks, Wahoo and more. I just had Snapper for lunch so needless to say I am still stuffed :). Festival Del Mar 2014 was a lot of fun. On Saturday we arrived in Island Harbour in the evening and spent a couple relaxing hours at the Festival with friends. I tried the ‘Seafood Viagra’ from one of the booths despite warnings from friends about the possible consequences of my decision :). Of course we had to snap some pictures. 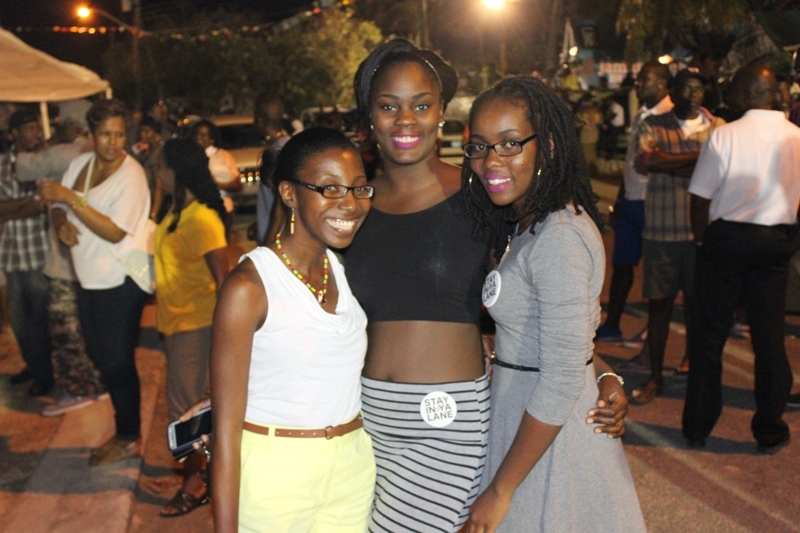 Here I am with Sincia the 1st runner-up of the Miss Anguilla Pageant 2013 (middle) and Kennelva, a current contestant in this year’s Miss Anguilla pageant. I wish both girls good luck with upcoming pageants. On Sunday, Nash and I attended Festival Del Mar around lunch and while it was an exceptionally beautiful day, it was also exceptionally hot. The food and quality company soon made us forget the heat though. Nash produced a video of some of the activities at Festival Del Mar for your viewing pleasure. Do enjoy and do leave a comment! To read more about Festival Del Mar 2013, click here. We love Festivals and Fairs and there are many more festivals which will take place throughout the year. Read about the Welches Village Fest, South Valley Street Fair and South Hill Community Fair here. Like My Anguilla Experience on Facebook and Follow us on Instagram, YouTube and Twitter (@ShelleciaB). Thanks for visiting our blog. 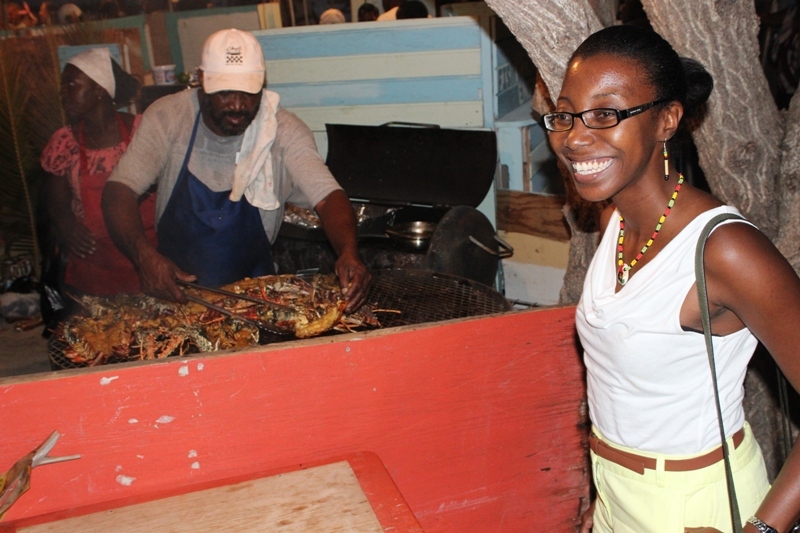 We hope to see you next year at Festival Del Mar and in Anguilla before then :). Do have a great day!